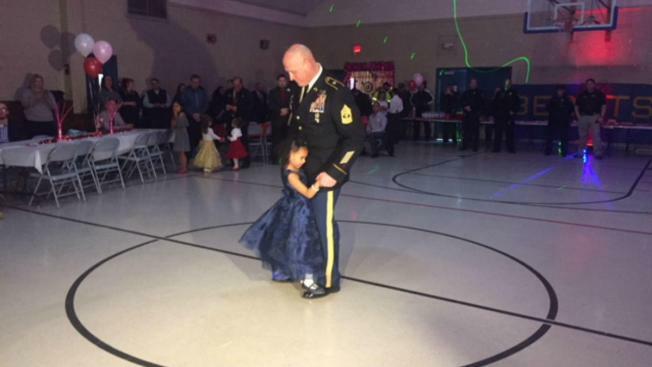 An Illinois Army National Guard soldier escorted Wednesday a kindergartner whose father died in a military training accident last year to her first father-daughter dance. Beirbrodt, in full dress uniform, let the 5-year-old Cayleigh stand on his polished shoes as the two slow danced together at Our Lady of Humility School in Beach Park. 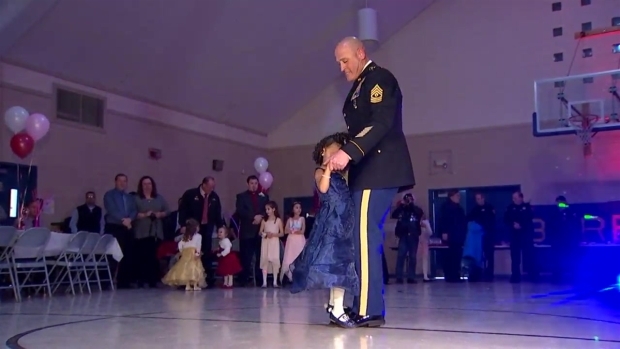 Cayleigh, who is described as “daddy’s little girl” by her mother, was also escorted by the Patriot Guard, Beach Park Fire Protection District, Lake County Sheriff's Office, Winthrop Harbor Police and Fire Departments, and Zion Police and Fire Departments to the dance. Her father, Sgt. Terrence Hinton, died in a training accident May 14, 2017 in Hawaii. A military truck he was riding in spun out of control, hit a guardrail and overturned into a culvert, according to the Illinois National Guard. He was a member of the Active Duty Army's 3rd Brigade Combat Team, 25th Infantry Division in Oahu. Hinton enlisted in 2009 and served at Fort Campbell, Kentucky before moving to Hawaii in 2016. He deployed to Afghanistan in 2010 and Kuwait in 2014 for a total of 21 months.